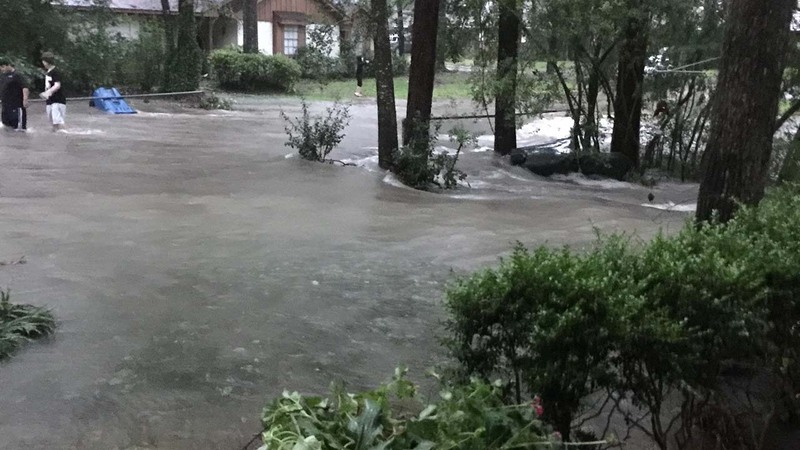 Several events around southeast Texas have been canceled because of storms and flooding across southeast Texas. Houston Dash: The Houston Dash vs. Washington Spirit match scheduled for this evening has been postponed to a date to be determined. The Dash, in consultation with the National Women's Soccer League, made the decision in the interest of fan, public and player safety. The Woodlands: Tonight's performance of Tosca at The Cynthia Woods Mitchell Pavilion is canceled due to severe weather conditions. Friendswood: Tonight's Mitch and Artha Wright Concert in the Park is canceled. Stay with Eyewitness News for the very latest on our severe weather. We'll have updates on air, online and on our mobile news app.